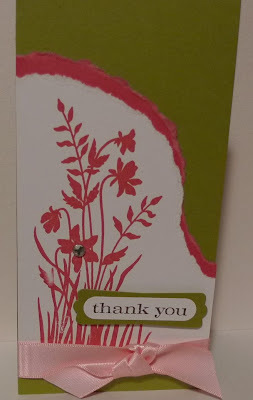 This is a cute but quick 3" x 6" thank you card. It uses the new Just Believe stamp set. Look at these cute images that come in the set. The cost is $41.95 for wood mount or $31.95 for clear mount style.